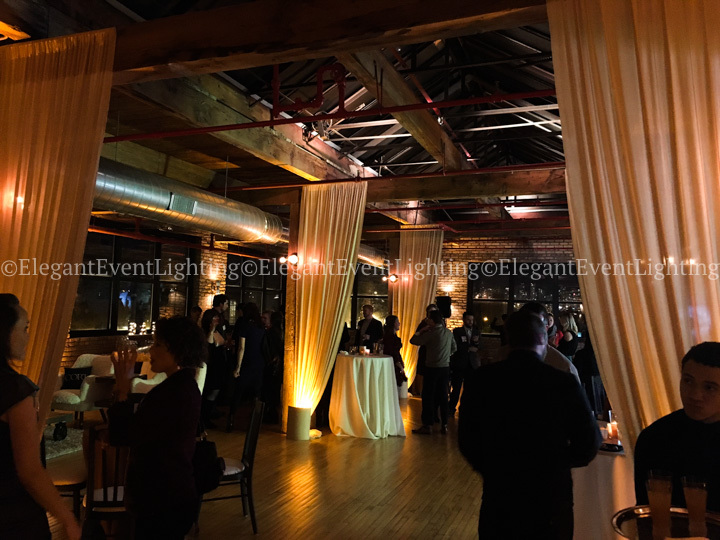 With the incredible transformation of brand new The Hive On Hubbard, Chicago’s Premier Private Events Venue & Business Center, EEL Chicago and other vendors worked together to create the ILEA Holiday Party. 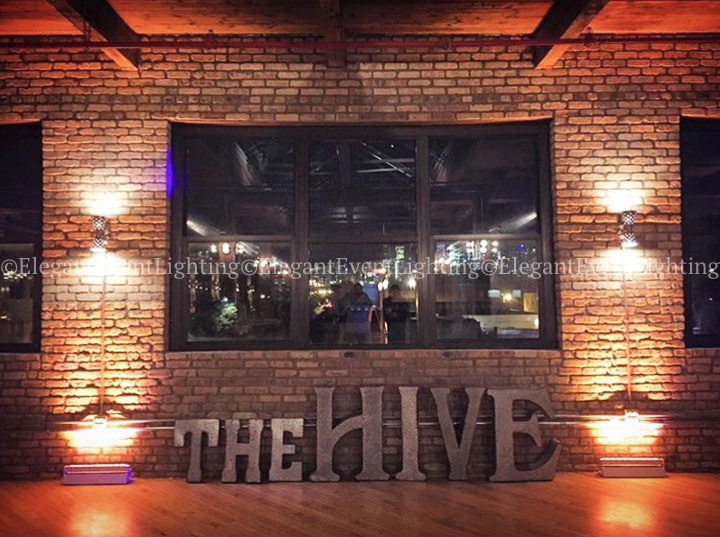 On December 6th our crew arrived at The Hive On Hubbard to contribute decor for the night. The center columns of the space were decorated with Gold Fabric swags and illuminated with soft amber lighting, masked with ivory fabric facades. 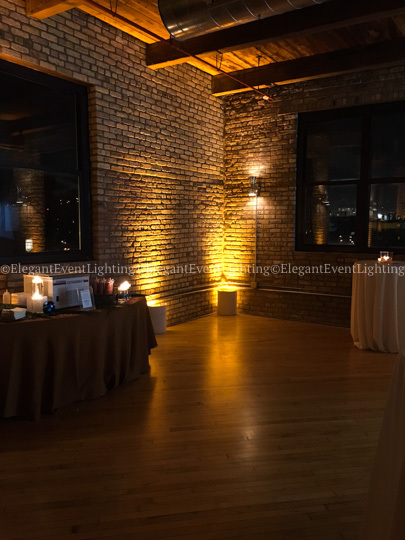 Amber uplighting was also placed throughout the room to create a warm atmosphere for guests to socialize. There was also a fun Photo Booth from AMJ Spectacular Events for guests to enjoy! This event provided a welcoming environment for colleagues in the industry to mingle, eat, dance, and pose for the camera! 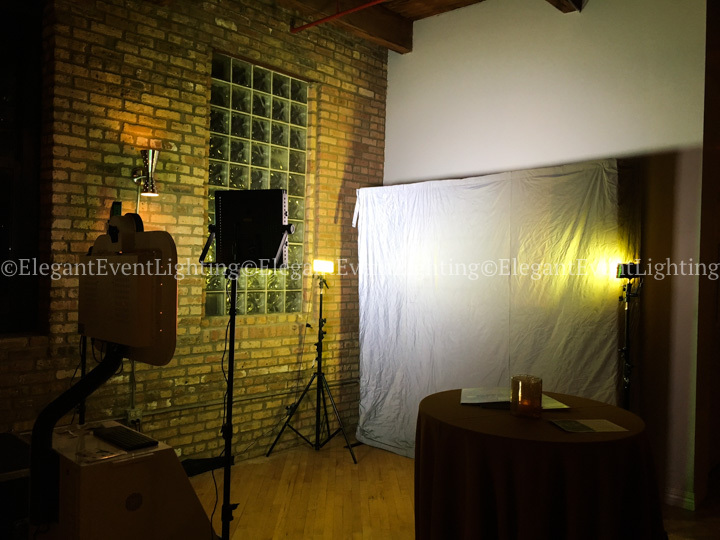 Elegant Event Lighting was honored to sponsor this event and would like to extend a warm thank you to ILEA for making this possible. Also a huge thank you to the other sponsors of this event: The Hive On Hubbard, Jewell Events Catering, Urban Icing, Cort, AMJ Spectacular Events, and Tablescapes Event Rentals.